VietNamNet Bridge – In a major shift in perspective, the Government is viewing small scale projects as the best, most sustainable way of tapping the nation’s hydropower potential. Hoang Quoc Vuong, Deputy Minister of the Ministry of Industry and Trade (MoIT), said hydropower accounted for 40 per cent of country’s total electricity output in 2016 and 2017. 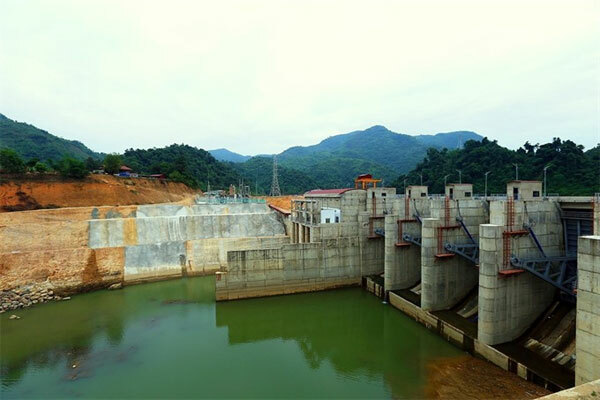 In provinces where major hydropower projects are based, like Hoa Binh, Son La in the north, and Central Highlands provinces like Gia Lai and Kon Tum, the plants contribute a major part to the local revenues, he noted. The ministry has set a goal of reaching 21,600 MW in installed capacity of hydropower plants by 2020, which will rise to 24,600 MW by 2025 and 27,800MW by 2030. This is considered to be the ‘cap’ to how much Vietnam can squeeze out of available technology without sever social and environment disruptions, though the maximum potential is estimated at some 35,000MW. Do Duc Quan, deputy head of the Renewable Energy Department under the General Directorate of Energy, said it is planned that the contribution of small and medium scale hydropower projects to the national grid will increase to 7 and 10 per cent respectively by 2020 and 2030. Quan said that after inspections, any hydropower project in the mountainous areas of the country – Central Highlands region, Northeastern area, and mid-Central Vietnam – that is found to have substantial impacts on forest land will be suspended indefinitely. Nguyen Van Vy, Vice Chairman of Viet Nam Energy Association (VEA), wanted checks on both the planning of hydropower projects and the planning for reservoirs located on river basins, saying this was needed to ensure efficient use of water resources. According to Vietnam’s Revised National Power Development Plan VII (for the 2011-2020 period, with vision until 2030) approved by the Government, the State-owned utility, Electricity of Vietnam (EVN) will still be the ‘main supplier,’ or the undertaker of large-scale power projects. 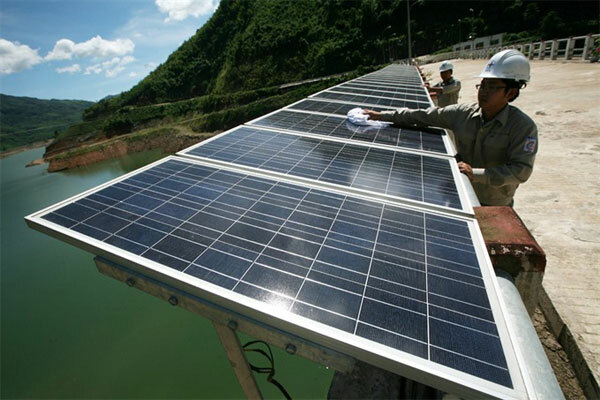 ‘Floating’ solar power plants that take advantages of the reservoir’s ‘unused’ water surface in hydropower plant projects – for example, the 47MW Da Mi project in Binh Thuan Province, will also receive priority. 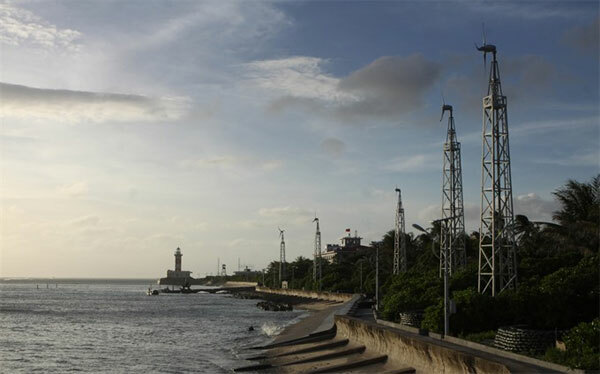 It is estimated that, with its long coastline, Vietnam’s potential for wind energy can reach 40-50,000MW, or as high as 100,000MW, if offshore wind power potential is also considered. Nguyen Anh Tuan, Director of the Renewable Energy Centre (Institute of Energy), said that despite their huge potential, renewable energy projects have not really taken off due to lack of detailed planning and lack of measures to ‘stabilise’ the constantly varying input, namely, solar radiation or wind. Authorities in BinhThuan Province, deemed the hub of renewable energy for its high solar and wind power potential, are actively calling for investment from both domestic and foreign investors for a growing list of energy projects. But they also say that the State’s preferential policies have not been enough to attract investors. Vietnam recognises the urgency of using science and technology to drive sustainable development of renewable energy, helping fuel the country’s fast-growing economy, said Deputy Minister of Science and Technology, Tran VanTung. The programme also puts forward a range of measures to reduce costs while increasing efficiency in production, transmission and consumption of energy – with two pilot projects being carried out to cut polluting emissions from thermal power plants.